"It reaffirmed our belief and worth in the band." 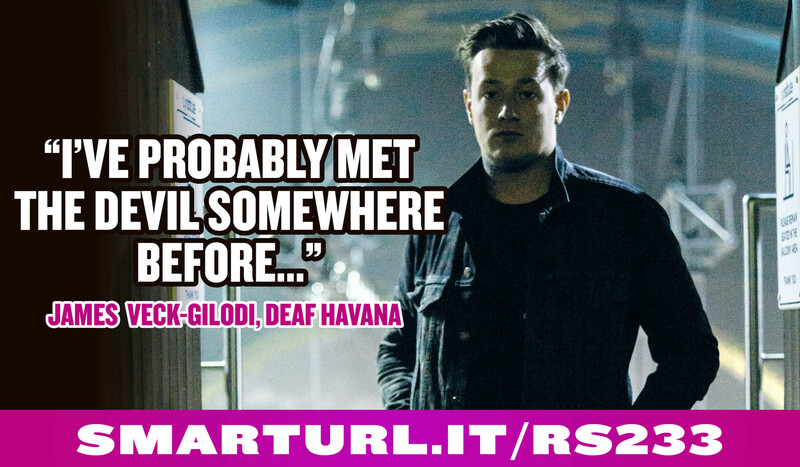 We caught up with James Veck-Gilodi from Deaf Havana to talk about his band’s current UK tour, their reworked version of their latest album and the future. WHAT MADE YOU WANT TO REWORK ‘ALL THESE COUNTLESS NIGHTS’? Says James Veck-Gilodi (vocals / guitar): “When I was writing the songs I had the initial idea. The way I see it is that the song is just an idea and there are different ways it can go. The song is just lyrics and a melody essentially. There are so many genres and different ways that it can go. Even when I was writing the demos for the actual album I thought to myself that one day I might take these in a different direction. I think it was just that nagging voice in the back of my head that is never satisfied and always wants to do something different." DO YOU ALWAYS GO INTO WRITING SESSIONS WITH THAT OPEN MIND? SO WAS EVERYTHING COMPLETELY RE-RECORDED? ARE THESE FINAL COUPLE OF TOURS THE END OF THE ALBUM CYCLE? HOW DO YOU FEEL THIS YEAR HAS BEEN FOR YOU? HOW DO YOU FEEL LOOKING BACK AT THAT PERIOD? “I wish I had the mindset I have now when we released ‘Old Souls’ because I think it would have done a lot better. I still back that album, I think it’s our best album. Maybe there was too much of a change, I don’t know. Or maybe I was listening to Bruce Springsteen too much. The thing is everybody hyped it up before we released it and then went, ‘Nah’. So I got really bummed and didn’t care anymore. If I had been a bit more positive it would have gone further I think. I don’t have any regrets though. I don’t have any negative feelings. I just wish I could have been a bit more mature." 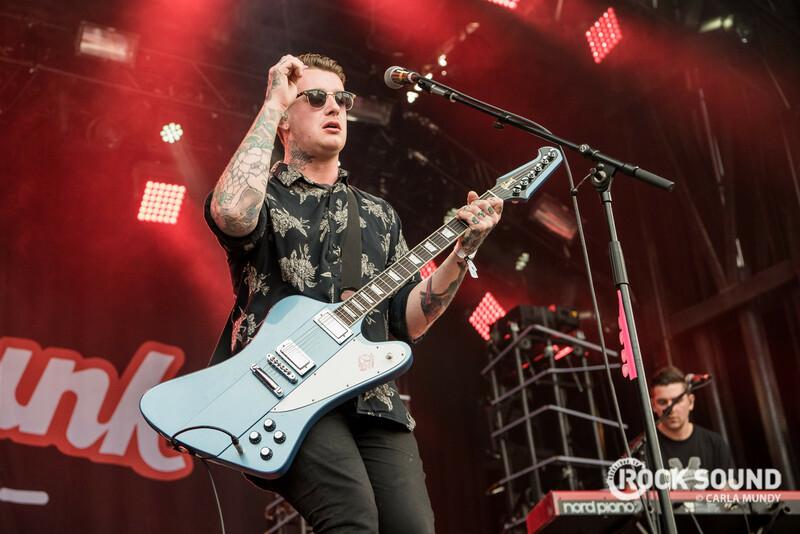 THE MOST IMPORTANT THING IS THAT DEAF HAVANA IS NOT GOING ANYWHERE, RIGHT? “This may be very detrimental to me, but I’ve never been someone with aims. I play music because I love it. A lot of people in bands are like, ‘We have to hit this target and then do this’. I’ve always just liked playing music in front of people and writing songs. What gets me is that if I was a little more driven maybe we would have got a little further. I don’t have any unrealistic goals like, ‘Oh, I want to play Wembley’. I don’t care about stuff like that. Yet as soon as we start playing venues that are smaller than what we’ve already played and start going down, I think we need to have a serious word and find a way to make it work. As long as we keep getting progressively bigger and keep playing music then I’m happy." The reworked version of 'All These Countless Nights' is out now via SO Recordings. The band are currently on tour, with support coming from Decade and Black Foxxes. James also appears in the latest issue of Rock Sound! Head to shop.rocksound.tv to pick up EXCLUSIVE bundles.